After a long hiatus In Plain Sight is returning to our TVs! 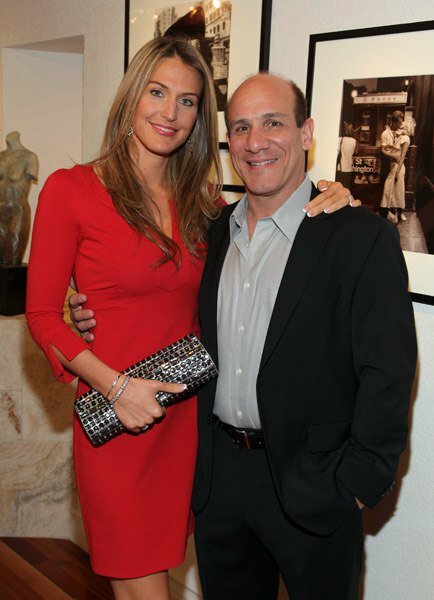 Catch the season premiere of Paul Ben-Victor’s series tomorrow, Wednesday, March 31, 2010, at 10:00 p.m./9:00 p.m. Central Time, on USA. 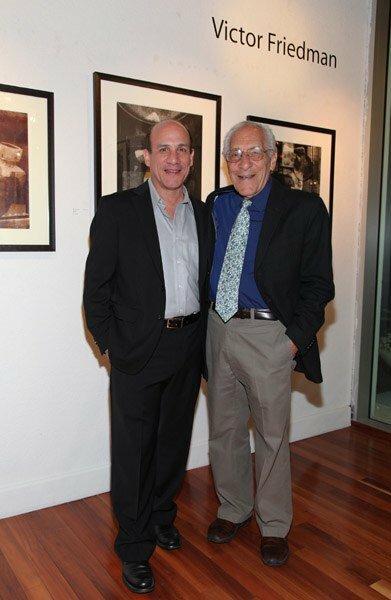 On March 13, an artist’s reception was held for Victor Friedman, Paul Ben-Victor’s father. 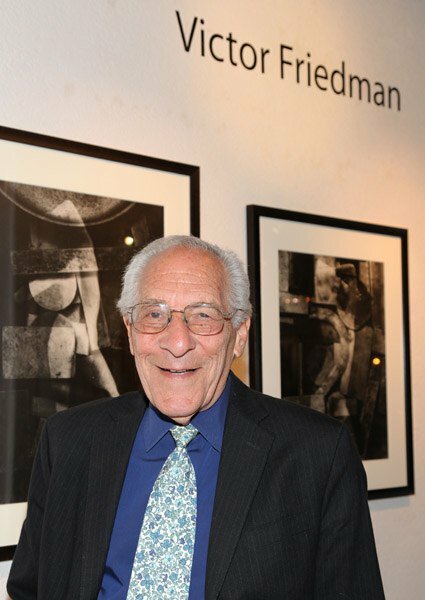 The exhibit, entitled “Captured and Constructed,” celebrates 40 years of Victor Friedman’s impressive photography. 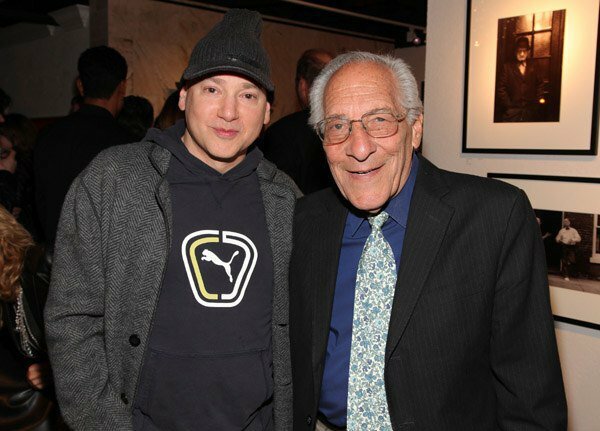 The reception, held at the Jeanie Madsen Gallery in Santa Monica, gave admirer’s a chance to meet the artist in person. It was filled to capacity. 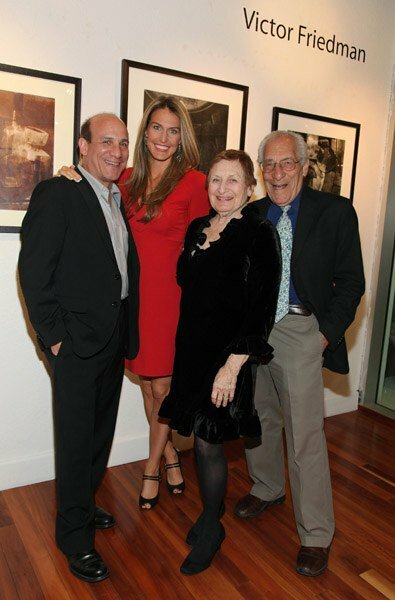 For those of you in the LA area, the collection can be seen at the Jeanie Madsen Gallery until April 20, 2010. 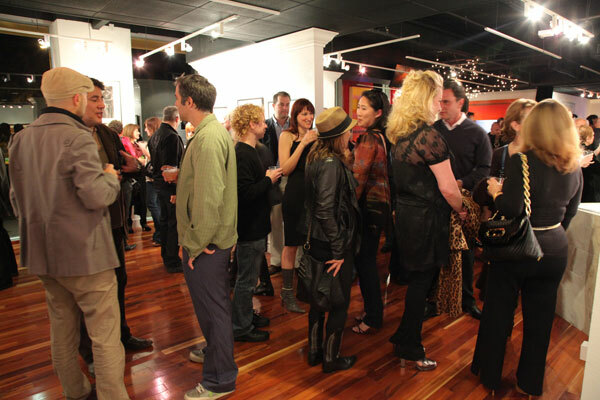 There will be a closing reception on April 15, 2010. Visit the gallery’s website for hours and location. If you are in the Houston or New York areas, Victor Friedman’s work can also be seen in the permanent collections at the Museum of Fine Arts in Houston, Texas; the Brooklyn Museum; the Museum of the City of New York; and the New York Public Library. Victor Friedman’s photos can also be viewed on his website. Thanks to Paul and Julie Ben-Victor for allowing me to share these photos with you. If I seem to be a bit quiet lately, it’s for good reason. Last month I was in a seven-car pileup on the freeway. Fortunately, there were no serious injuries, but I did end up with a mild case of whiplash. I can only imagine how painful a serious case of whiplash must be, but I can tell you that a mild case isn’t much fun either. Sleeping, or I should say trying to get sleep, has been a challenge because I wake up several times a night with something hurting and then I have to try to find a position that is more comfortable, which isn’t always possible. The past month have been filled with numerous visits to the chiropractor and massage therapist. Happily, the treatments are paying off because I am in pain less frequently than before and I’m not waking up quite as much in the middle of the night. All of this has, of course, effected the film project because I haven’t had the time or energy to work on it. The reference guide is still sitting there waiting to be finished, but I am hoping to get back to working on it soon. Recently, however, I did manage to attend a couple of events and that’s what I want to talk to you about today. Saturday before last, I spent the day at Goal Line Productions’ studio. Goal Line is owned by football legend John Madden and operated by his son Joe. The filmmaking event was put on by a filmmaking co-op group called Making Movies Throughout the Bay Area (MMTB). If you’re not familiar with filmmaking co-ops, let me explain what they are. Briefly, they are groups of people interested in filmmaking who come together and share their time, talent, equipment, ideas, etc. to make short films. For people who are interested in filmmaking but never had a chance to go to film school, this is a great low-cost way to get involved in filmmaking and learn how it is done guerrilla style. For those who have or are currently going to film school, co-ops help you to get that much needed practice. Here is where you can learn and practice the art without worrying about mistakes derailing your career. People aren’t expecting perfection at this point in the game. That comes later. MMTB is a very new co-op. This was only the second meeting. They have a few bugs to work out yet in how they operate, but I’m sure they will iron those out over time and turn into a smoother running organization. What I like about MMTB is the low time commitment and cost of joining. Joining is basically free. Just go to their Facebook page and join the group. If you want to attend one of their filmmaking events, however, there is a small fee that is reduced if you bring a food or drink item for the potluck lunch. Events are one day per month and they run the entire day. By the end of the day each group has finished shooting a short film and can take it with them for editing. Edited films are due by a certain date and shown at the next event where everyone who attends gets to vote on which film they like best. This is the film that won this month. Perfect? No, but can you believe they only had two hours to come up with that concept and write and shoot it? Not bad considering the constraints. MMTB rules require directors to have their own camera equipment. If you’re a director, you’re a team leader. There are two boxes filled with slips of paper. One contains the names of the writers in the group, the other contains the names of the actors. The director chooses one writer and two actors. It’s the luck of the draw and you have no idea which group you’ll be assigned to until your name is drawn. At that point it’s a mad dash to come up with a concept that fits your group and get it shot within the allotted time. This month the teams were given four hours to shoot their films. As a producer, I wasn’t sure what exactly I could contribute to an event such as this so I joined a sort of miscellaneous group that makes the behind-the-scenes video. I was assigned to watch the various groups and take notes for the video. I can’t say I was very successful at first. It wasn’t until I was able to watch the video for last month’s gathering that I was really able to understand what they were looking for. My note taking then improved a little bit, although I can’t say it was near as clever as what had been done before. But it was fun to watch the various filmmaking teams in action. Most of the teams did “talking heads” stories, although I did see one group shooting an action film. One advantage of shooting at a studio is getting to use some of the equipment that they have. One team was able to use some of the studio’s green screen for their indoor scenes. I’m curious as to what those scenes will look like. For a producer, the main reason to attend an event such as this is for the contacts. You just never know if you’ll find local talent that you may wish to hire or collaborate with later. I was able to find a few contacts that day that could be promising. Monday before last, I took a class on location management that was hosted by another film co-op called Scary Cow Productions. Their motto is “Make Movies. Be Scary.” If MMTB is for those who want to dip their toe into filmmaking, Scary Cow is taking it to the next level. There’s a bit more of a commitment involved to become a Scary Cow member. The membership fee is $50 per month. Participants are given four months to complete their projects, which gives them more control over the creative elements of their projects. It works like this: Once every four months members meet together for a pitching meeting. Anybody can pitch an idea. Members decide which projects will go forward by choosing the project they want to work on. At the end of the four months, films are screened in a theater which has been rented for the occasion. Members and a panel of judges vote for the best films. The winners receive a budget for their next film. Scary Cow also hires professionals to teach classes for its members. Occasionally, they open their classes to the general public. I’ve had the privilege of taking two of their classes already. Back in December I took a casting class taught by a local casting agent; and last Monday I took a class in location management taught by a local location scout. Both were excellent classes that gave me a real feel for what their job entails; and I was able to make contact with two local professionals in their respective fields that may come in useful down the road.